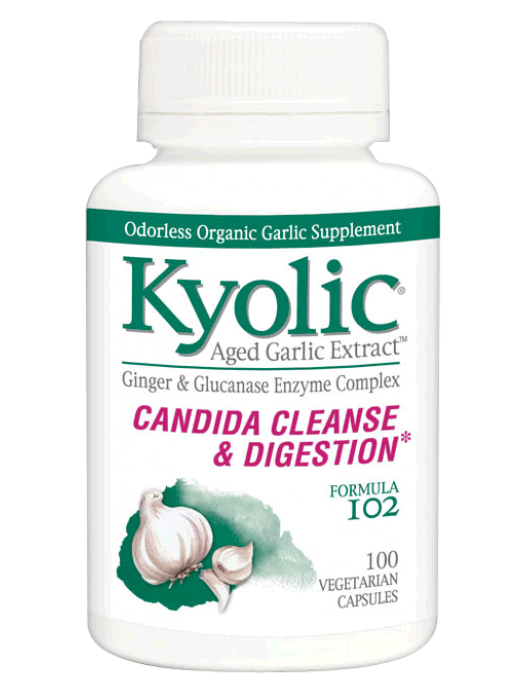 Aged Garlic Extract™ [300 mg]; Ginger [125 mg]; Glucanase [16 mg]; Protease [10 mg]; Lipase [5 mg] (per tablet/capsule). Cellulose, Gum Arabic, Starch (corn and potato), Alginic Acid (seaweed), Silica and Magnesium Stearate (vegetable source). Take two tablets/capsules with a meal twice daily.